For over 20 years, Center for Health Progress has been committed to making sure our health care system works for all Coloradans. 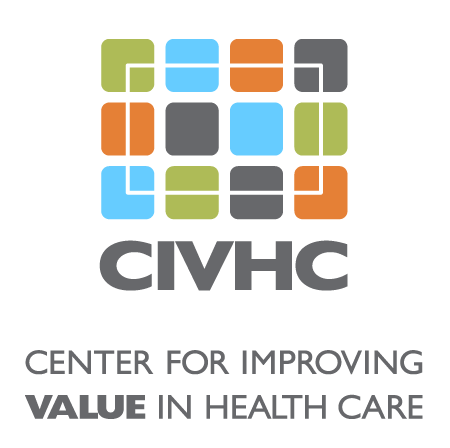 Founded in 1997 as the Colorado Coalition for the Medically Underserved, they’ve been working ever since to ensure factors like race, income, and ZIP code don’t determine a person’s access to care or opportunity to live a healthy life. Project Summary: It’s not every day that a comic book convinces its readers to dismantle systemic oppression, but Waiting for Health Equity is not just any comic book. 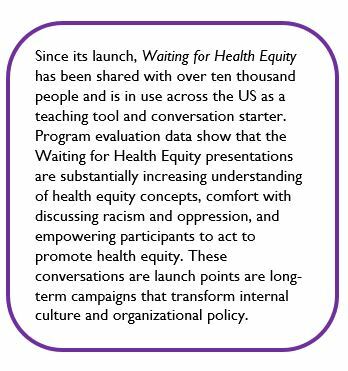 Waiting for Health Equity is an ambitious, innovative campaign, centered around a graphic novel, that explores the root causes of health inequities—such as racism and poverty. The novel itself is an educational tool connecting personal stories to the historical policies and practices of our institutions and government that perpetuate systemic oppression. The larger campaign leverages the novel in a variety of ways. These include customized presentations and facilitated discussions with groups around the state, which have had a demonstrated impact on the ability of leaders of all types to understand, communicate about, and act to dismantle the structural barriers to health equity. Benefit to Colorado: All Coloradans experience challenges with the health care system at one point or another in their lives; however, data show that the system has disadvantaged some Coloradans more than others. Certain populations experience greater health inequities due to historic and systemic injustices present within our society and our health care system. Achieving health equity means eliminating these preventable disparities based on race or ethnicity, age, ability, sexual orientation, gender, socioeconomic status, geography, citizenship status, or religion.